(Part 6) Which picture of Angel – Jäger der Finsternis – Jäger der Finsternis and Buffy is your favorite? (Part 5) Which picture of Angel – Jäger der Finsternis – Jäger der Finsternis and Buffy is your favorite? (Part 4) Which picture of Angel – Jäger der Finsternis – Jäger der Finsternis and Buffy is your favorite? (Part 3) Which picture of Angel – Jäger der Finsternis – Jäger der Finsternis and Buffy is your favorite? (Part 2) Which picture of Angel – Jäger der Finsternis – Jäger der Finsternis and Buffy is your favorite? Does Angel – Jäger der Finsternis appear again after he leaves? 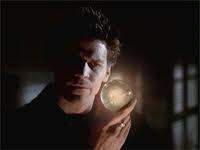 What was your opinion on angel, when Du first saw him on buffy? I'm trying to create a Buffy/Angel collage, but I don't know how to blend the pictures together--so there are no harsh lines between the individual pictures. Does anyone know what program/website to use to get that effect? Thank you. (Be warned: This is quite lengthy) It's an essay from a Buffy related book once again credited to 'Imblack21' for her find. The girls becoming a b/a santa! This studious discovery is Von no means something credited to me, it's the lovely work of 'Imblack21' at DH but i felt the need to share. It really warms a b/a Liebhaber heart! In the episode “Angel” in which Buffy and Angel – Jäger der Finsternis decide to walk away from each other, the song playing is “I’ll Remember You”. Hi Guys! I wanted to update Du on the Lorne! Live! Show. a comment was made to the poll: Which one would Du let bite you??? a comment was made to the poll: What Angel/Buffy scene do Du think is the (or one of the) most heartbreaking from Buffy the Vampire Slayer? a comment was made to the poll: Who is your fave female character? a comment was made to the poll: Who do Du think Angel – Jäger der Finsternis – Jäger der Finsternis loved more: Buffy oder Connor? Which of the following Vampire told Angelus he was wasting his time Schreiben Liebe notes for Buffy?